Quiltworx.com believes in Sharing! The best way to encourage our customers to share their accomplishments with our patterns is to offer contests and promotions surrounding the concept of sharing your work with us! This page includes current contests that we offer and how you participate. Thank you for your interest in Quiltworx.com! If you have entered a quilt you have made using a Judy Niemeyer Quilting design into a show and won a ribbon, you can send your Award Winning Quilt to ilyse@quiltworx.com and we will feature it in a newsletter, acknowledge your award on our Facebook page, and send you a $10.00 gift certificate good towards your next purchase on the Quiltworx.com website! Note that our newsletter publications only happen about once a month or so, so if you haven’t seen your quilt shared yet, it is because we are reserving it to be announced with the newsletter. 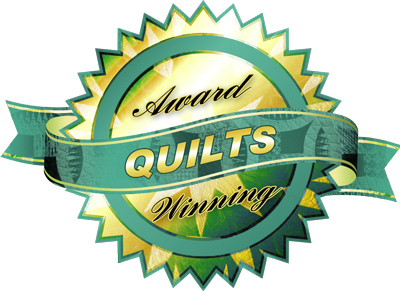 You can find it after the newsletter in a special album on facebook, entitled “Award Winning Quilts”, then when we announce the next group of winners, we move it to the album for that particular quilt. Thank you for sharing with us and congratulations, from Quiltworx.com!